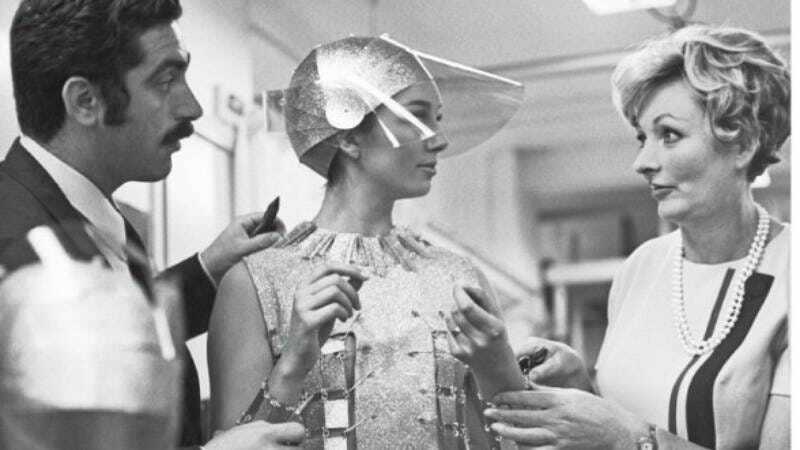 Julie Harris, a British costume designer who worked on more than 80 films spanning five decades, has died at the age of 94. Ms. Harris died on May 30 in London of a chest infection. Harris also worked on two Bond films, giving the super-spy a sense of glamour in 1968’s Casino Royale and creating Roger Moore’s black turtleneck look when he debuted as 007 in Live And Let Die. She also worked on films as varied as Disney’s Swiss Family Robinson, the original Rollerball, Goodbye, Mr. Chips, a 1979 version of Dracula with Frank Langella as the vampire and Laurence Olivier as Van Helsing, and The Great Muppet Caper. Harris retired from film in the early ‘90s, and spent her last decades working as an artist specializing in oil painting.